Too many golfers carry clubs in their bags they very rarely use and then don’t have clubs they’d use on at least a third of the holes (if they were in the bag). Most golfers also use a putter that has a shaft length that was probably never validated as being the right length for them. That makes the game harder than it needs to be. We’d like you to give us 3 minutes of your time to complete a survey that will allow us to provide you with a better and more personal service. With your individual responses, we get a much better idea of how we can help you. This is a win-win survey. This is your survey. Claim your FREE PING cart bag before the weekend! Another great result for one of our members Ray Waters. Ray had a lesson with one of our Head Professional and Director of Golf Heath Jones. Next round he shot +9 in a Par Event. Great result for Ray and Heath. Feeling like your game is struggling, or needs fine tuning? Never fear, Heath Jones and Lee Dawes are here. With over 20 years of PGA coaching experience combined, the team here at the Warragul Country Club can help with all aspects of your game. For all enquiries and bookings please call the Pro Shop on 56232353. #strivetobegreat Ray had a lesson with one of our Head Professional and Director of Golf Heath Jones. Warragul Country Club members have been given an Exclusive Invitation to the Callaway Performance Centre in Melbourne. Experience your longest tee shot yet with Rogue Drivers and the best ball striking with Rogue irons. An expert Callaway fitter will be on hand on the day to make sure you're getting the most out of the equipment you're trialing. You will not want to miss out on this! Don't delay booking any longer, this will no doubt be the golfing trip of a lifetime! Cutoff date will be the 15th July to get your booking form in. Callaway Ultimate Fitting Experience Opportunity! We're in the middle of what has been a thrilling Titleist National Fitting Week so far! We're proud ambassadors of the Titleist brand here at Warragul CC but more importantly we're interested in adding more distance, helping you hit closer approach shots and getting you to create more spin each time you go out on the golf course! 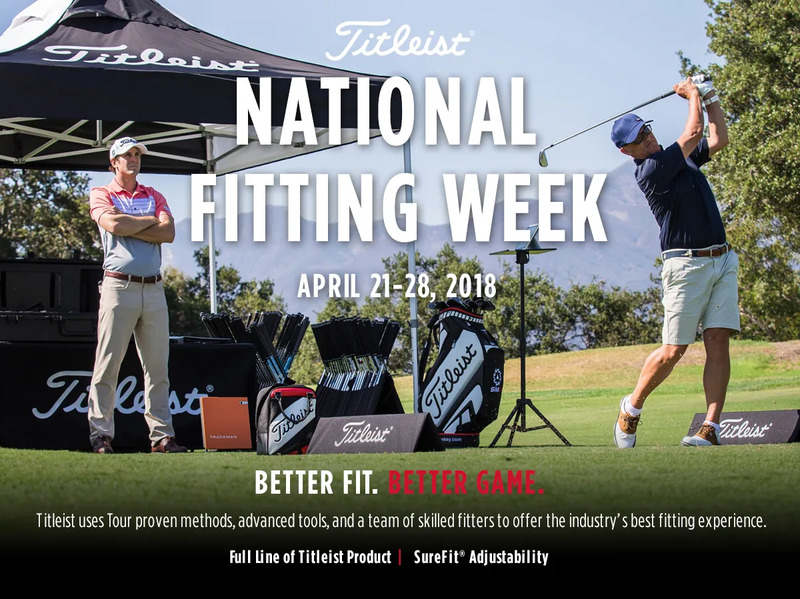 The Titleist National Fitting Week covers tee-to-green performance with a specific focus on 718 Irons, 818 Hybrids and new Vokey SM7 Wedges. You are also free to try out any Titleist product this week! So come on down over the next 4 days and put these beauties to the test. You won't be sorry once you're reveling in better, more enjoyable golf! 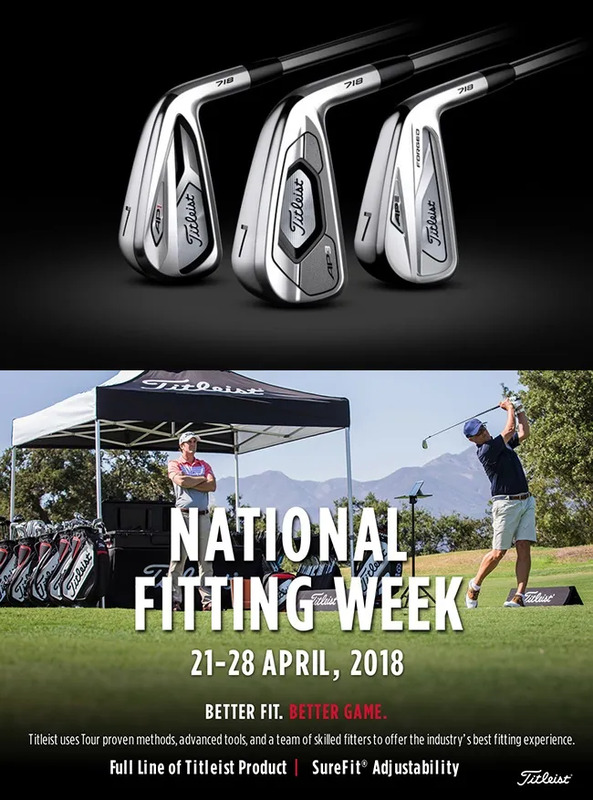 Book your fitting by hitting the reply button below for an ideal time or drop us a mail here: https://warragulccproshop.greensidegolfer.com/contactus We're in the middle of what has been a thrilling Titleist National Fitting Week so far! They haven’t finished “breaking out”; we’ve only just gotten started to improve your tee shot performance. The Callaway Golf Rogue Drivers have arrived. Be sure to check in at the Pro Shop to book your fitting or simply hit the reply button below. All the latest Callaway products will be on offer to trial. They haven’t finished “breaking out”; we’ve only just gotten started to improve your tee shot performance. The Callaway Golf Rogue Drivers have arrived. We're going Rogue. You should too! Callaway has taken jailbreak technology further, you’ll go further, in the latest selection of Rogue Drivers. They’ve also added a new head design. 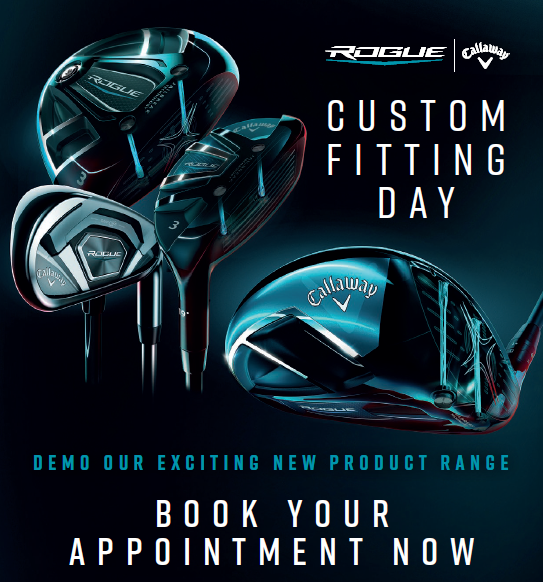 Watch the video below and then come and see us at our Callaway Fitting Day. In an age where hype seems to get ahead of substance or real performance, we think we have an exciting equipment release from Cleveland that will deliver simple, better golf. Find out more at our upcoming Cleveland Demo Day | 16 February | 2pm - 6pm In an age where hype seems to get ahead of substance or real performance, we think we have an exciting equipment release from Cleveland that will deliver simple, better golf. They'll forgive you almost anything! Experience extra ball speed and distance (up to a club length on the irons), but just don't miss out on the chance to see just how much extra performance consistency you'll experience with the new PING G400 Range. We’re looking to improve our communication with all of our golfers, and this email represents a start. We’ll include encouragement, and hopefully some inspiration, with the intention of helping as many of you as possible onto a pathway to better golf. We’ll add our expert view on equipment. Not advertising, but real thoughts on who’ll benefit most from a piece of equipment, and how it delivers it’s benefits. We’ll occasionally add a very short survey. The purpose of these will always be for us to learn, and to encourage you to express your views. And don’t wait. If you have thoughts, contributions, criticisms, please feel free to reach out in any of the ways available, including coming into the club and chatting with us. We’ll also keep you up to date with last-minute opportunities or updates If there are spaces available, fields are full, delays, closures, special events, we’ll keep you updated and posted with simple alerts and updates on our social feeds. So, best wishes for the next months. And let’s see how many of you we can help to hit better golf shots more often. The quickest route to more fun on a golf course. We’re looking to improve our communication with all of our golfers, and this email represents a start.